A.T. Kearney is a top-tier global Management Consulting firm with offices in more than 40 countries. Since 1926, we have been trusted advisors to the world’s foremost organizations. With our collaborative and entrepreneurial approach, we are continuing to help our clients to achieve success in a changing environment. 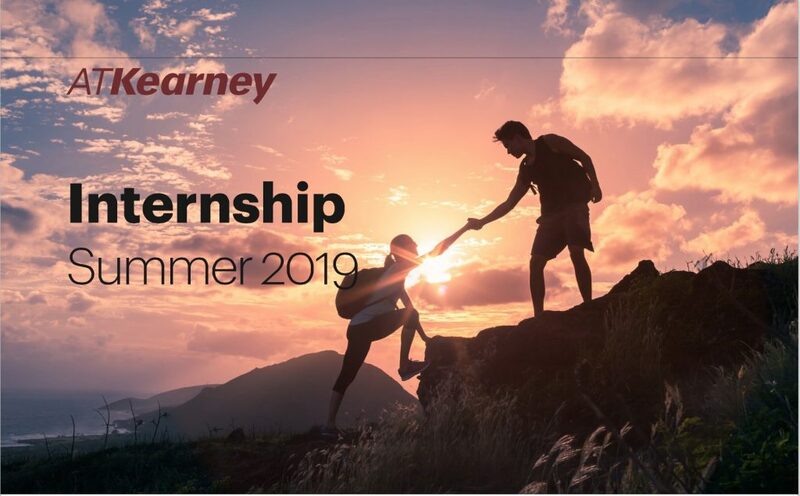 The A.T. Kearney internship program is an excellent introduction to a career in Management Consulting. We are committed to providing you with a hands-on experience in a dynamic and challenging work environment, with a high focus on personal development. The projects will be carried out within a wide range of industries and you will join our team at the client site. Typical responsibilities include performing complex analyses, working on research assignments and communicating findings to the client. Learn more about our interviewing process and apply online by 9 September 2018 via http://www.atkearney.no/careers.